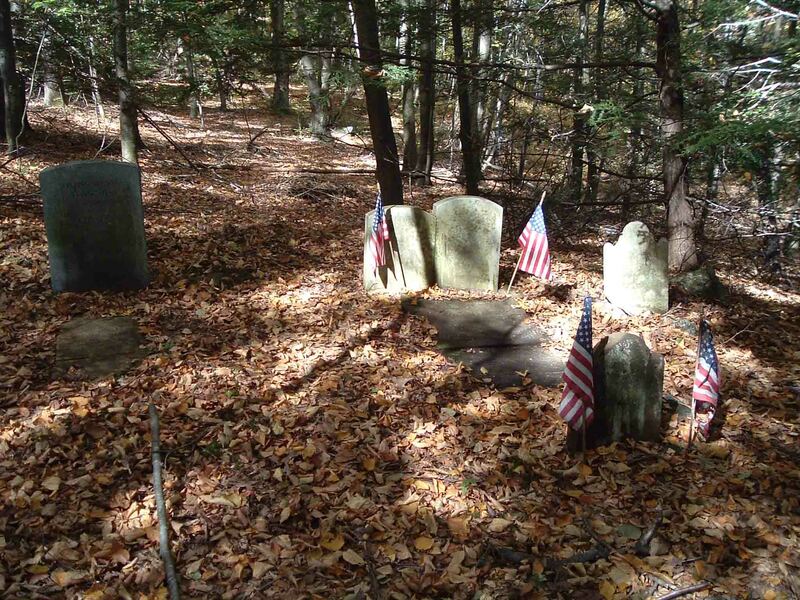 Researching the files for the graves of the early Cossitts in Granby, Connecticut will yield several cemeteries, one in particular is the Cossitt Graveyard. This secluded and heavily wooded family burial ground on private land is on a hill behind a farm that was once owned by Fransaway Cossitt, the second son of Rene and Ruth. Originally, there were several graves in the immediate area, but today we can only identify three and one memorial. 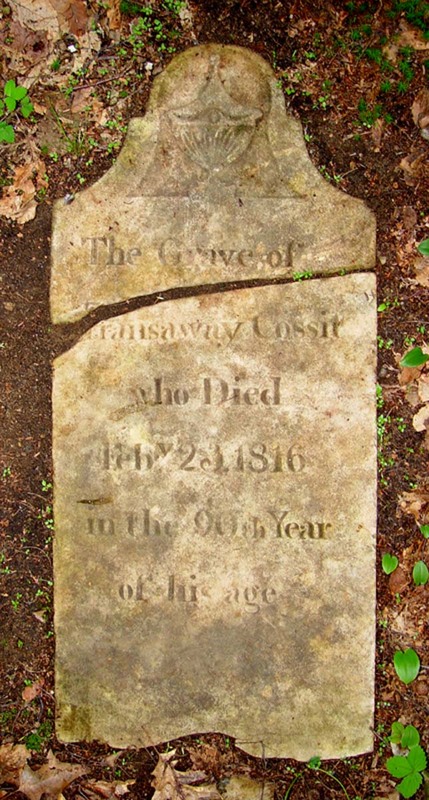 Fransaway, also known as Francois Cossitt, was born November 2, 1726 and died on February 23, 1816. 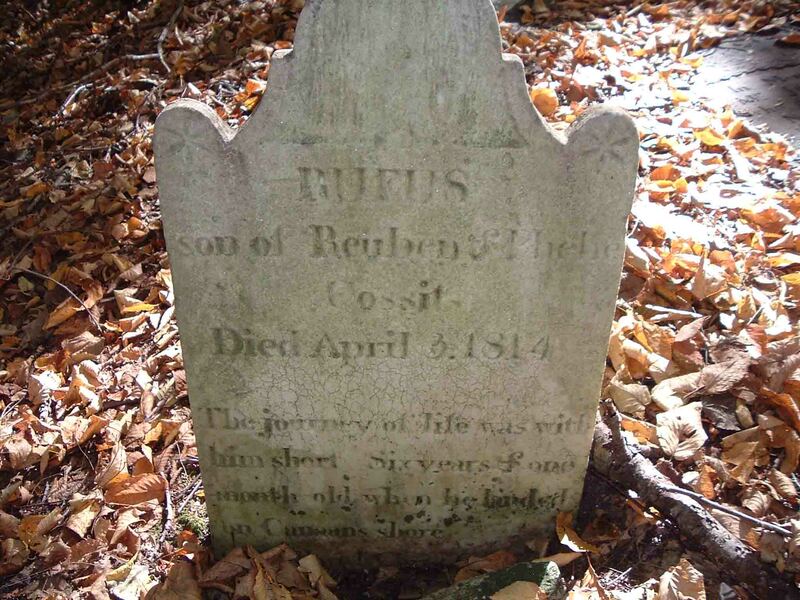 His grandson, Rufus Cossitt was born March 3, 1808 and died April 3, 1814. We must never forget that some of our Cossitt Ancestors gave their lives for the freedom that we now enjoy in our wonderful country. 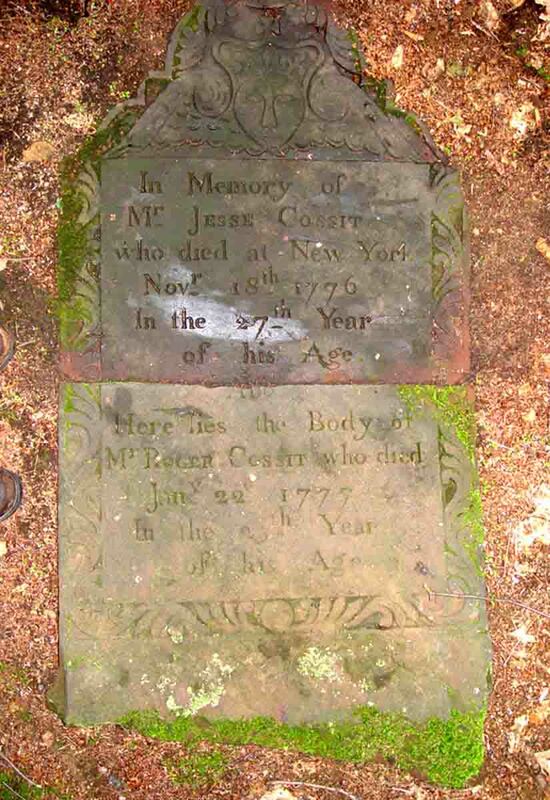 Jesse Cossitt, the first child of Fransaway and Abigail Cossitt was born November 30, 1749 and died fighting the British in New York on November 18, 1776. 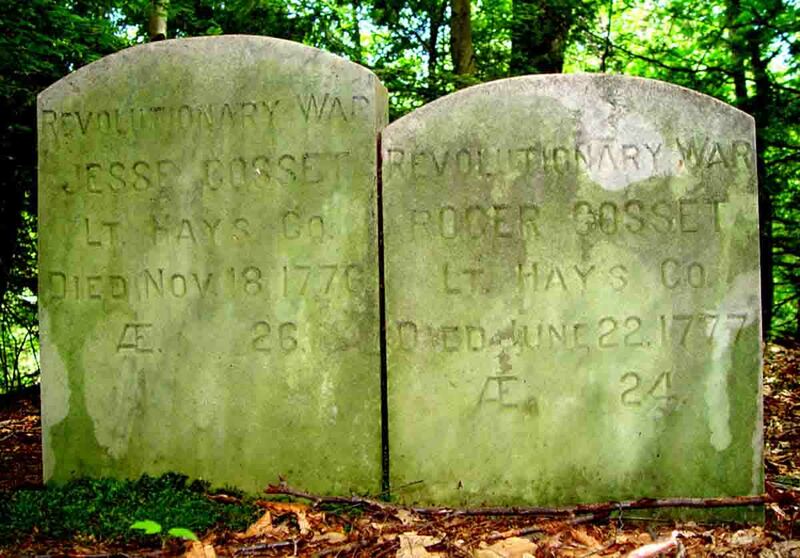 His brother, Roger Cossitt, was born August 24, 1752 and died two months later on January 22, 1777. These brave brothers were confined as prisioners of war on the Prison Ship New York where they died. From a careful reading of the original marker, it appears that the body of Jesse was not brought from New York to the Cossitt Cemetery. Since both brothers died in the service of their country, Old Glory flies over their markers. The Cossitt Family Association gives special thanks to the current owners of this land. Every spring when the snow melts, they clear off the debris and post the U.S. Flags. Every fall before the snow comes, they remove the flags in preparation for winter.